To the main menu: (Accesskey 1). With the development of technology, computers are indispensable for various human production activities. Machine learning, which has been remarkably developed in the field of computer science in recent years, has attracted public attention as a technology to replace a part of human intellectual activity, and it is actively studied. However, garments that are essential to human beings are still being designed by humans. Also, the design of fashion brands is produced by several designers, so succession of technology and sensitivity is difficult. Therefore, we propose a computerized garment design created by cooperative work of human and machine intelligence using Deep Neural Network (DNN). This AI learns a certain brand design and generates new design images of clothing. From the generated image, the patterner creates the pattern and completes it as new clothes. We made clothes using the system DeepWear through a series of designs, such as design by deep learning, patterning by patterners, and creation of costumes. 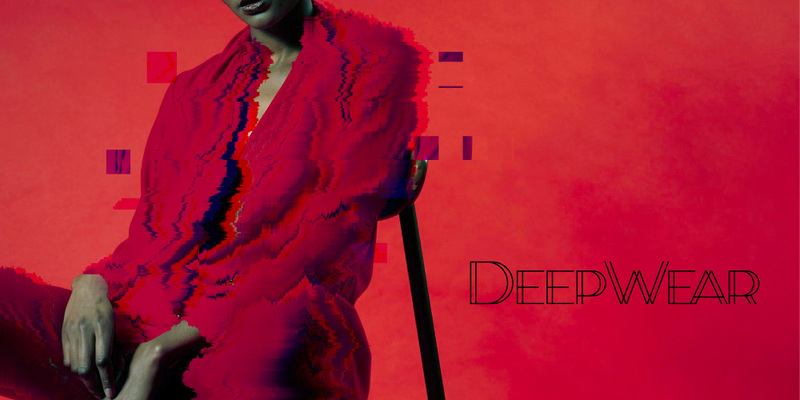 With this DeepWear, it is possible to inherit the design in clothing without depending on the designer. Natsumi Kato (JP), born in1993, is a designer and fashion researcher. She belongs to the Digital Nature Group at University of Tsukuba hosted by Associate Professor Yoichi Ochiai. She researches Fashion Technology in HCI and has published papers at top international conferences such as NIPS2017 Workshop and TEI2018. Hiroyuki Osone (JP), born in 1997, also belongs to the Digital Nature Group at University of Tsukuba. He researches about Optics and HCI application of Deep Learning, presenting at international conferences such as NIPS 2017 Workshop, ACE 2017, and SIGGRAPH 2017. Yoichi Ochiai (JP), born in 1987, PhD (Applied Computer Science / University of Tokyo, Graduate School of Interdisciplinary Information Studies in just 2 years record time), Assistant Professor at University of Tsukuba, School of Library Information and Media Studies since 2015, Associate Professor since December 2017. Head of Digital Nature Laboratory, CEO of Pixie Dust Technologies, Inc. This project has received funding from the European Union’s Horizon 2020 research and innovation programme under grant agreement No 732019. This publication (communication) reflects the views only of the author, and the European Commission cannot be held responsible for any use which may be made of the information contained therein.